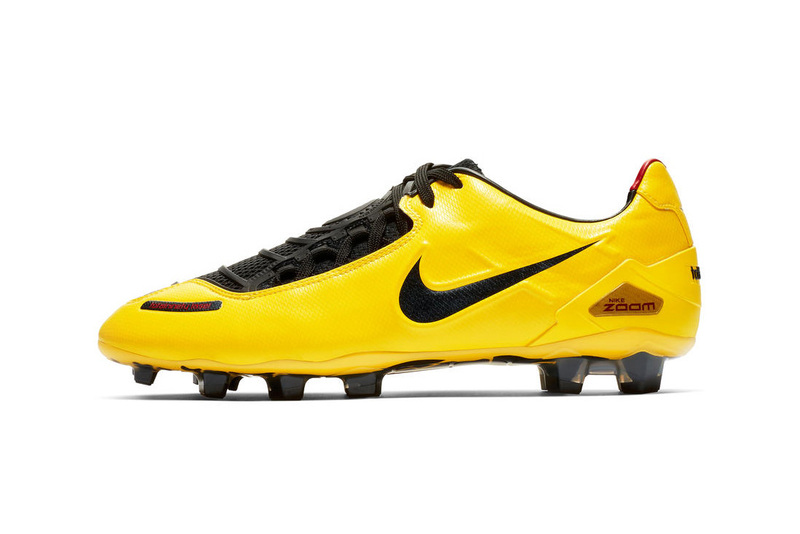 Nike Football has recreated one of its most iconic football boots for a new special-edition release. This release sees the Total 90 Laser — which was released in 2007 for ultimate accuracy and powerful shooting — revisited and released in the same upper materials and construction design as the original from 12 years ago. This design includes an off-center lacing system, a skeleton foot graphic on the sole plate and the words “Power, Swerve, Precision” emblazoned on the black precision rings. Performance-orientated features include a modern underfoot chassis for a lighter feel and a Zoom Air unit in the heel. The boot comes in a bright yellow color palette, offset by black detailing and red accents. The relaunched Nike Total 90 Laser SE is available now via Nike.com. Strictly limited to just 2000 pairs, each one is individually numbered. In other sports news, Cristiano Ronaldo may miss the next Champions League game.